Gabriel Wiese is intensely occupied with the wine cork. 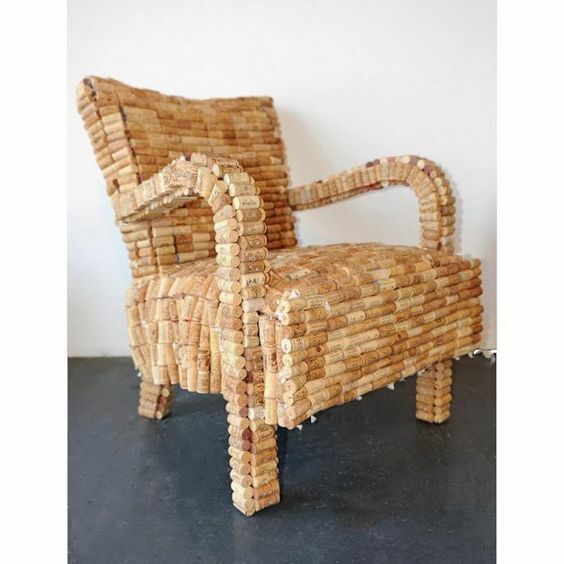 He has covered existing furniture with corks, created new forms using steel infrastructures and cork veneers, and made works of nothing but corks. His goal has been in "changing the simple stopper into an object of art." Wiese likes the particular history of the cork, its passage from an old tree in Portugal to finally the neck of a bottle in St. Emillon. Wiese was born in Magdeburg, Germany and started training as a cabinet maker in Cadolzburg after leaving school. During this training, he became familiar with particular pieces of furniture and their respective design. In 1994 he created his first art objects from chips of wood in connection with hair, stones and cork. Wiese was particularly fascinated by his work with cork which led to an intense preoccupation with this material. He created different cork processing effects and put them into practice. He lives and works in Thuringia, Germany.